Carrie O'Connor is an agent with the CIS. The Canadian Intelligence Service is responsible for the security of the largest country in the Americas but in the series its outlook goes beyond its shores. O'Connor is one of its senior agents and has been handling operations for several years before the first recorded adventure. Most of the adventures that O'Connor is a part of are those of fellow agent and senior partner, Justin Hall. While that partnership is truly one and not a boss-subordinate collaboration, most of the attention goes to Hall. O'Connor, however, is not one to be ignored as she shows on many occasions where she save the backside of her teammate. O'Connor is formerly of the Canadian Army Special Forces with two tours in Afghanistan behind her. She and fellow agent Justin Hall were partners for a time before they became romantically involved. Now as the series starts they are six months from having broken off their relationship (reasons unknown) but their affection and dedication for each other has not suffered. Either would willingly give their life for the other, though both work very hard to keep that from happening. O'Connor has a special 'dislike' of Russians and it comes across on several occasions. Her father had been a colonel in the Canadian Army who "disappeared during a covert mission in the late eighties in the Soviet Union". When time and missions permitted, she searched for him or his grave-site and once it was uncovered, in Grozny, Chechnya, she brought his remains back to Canada for a proper burial and honor. O'Connor has auburn hair which has more than a few strands of gray, products of the many harrowing adventures she had been in, whether working with Hall or on her own. 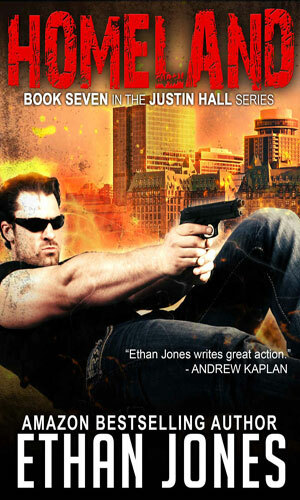 Book 1 in the Justin Hall series. Two foreign icebreakers are spotted in the Arctic Canadian waters and someone needs to lead a team to investigate so Justin Hall and Carrie O'Connor head to the frozen Arctic. Book 2 in the Justin Hall series. A G-20 summit is taking place in Libya's capital and the US President is scheduled to attend. He is the target of an assassination attempt and Justin Hall and Carrie O'Connor head there to save the man's life. 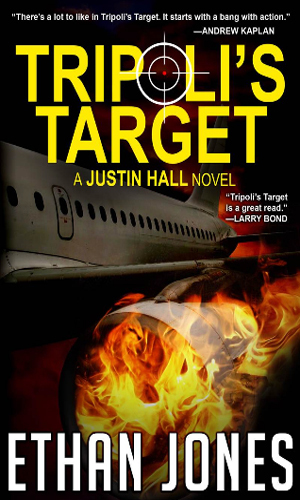 Book 3 in the Justin Hall series. The mission for Hall and Carrie O'Connor to bring out of Iran a defecting nuclear scientist goes wrong because of a traitor in organization. 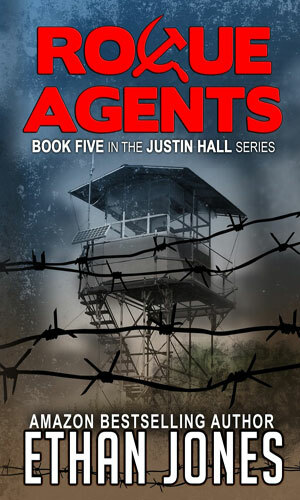 Book 4 in the Justin Hall series. A Chechen group assassinates Russia's Minister of Defense and then heads to the US for another plot. 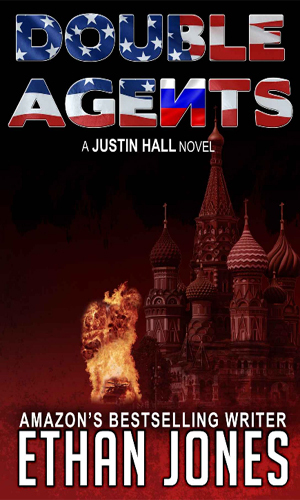 With the FSB and the CIA at loggerheads, Justin Hall and Carrie O'Conner are tasked with going to Moscow to investigate but there are some who want them stopped at any cost. 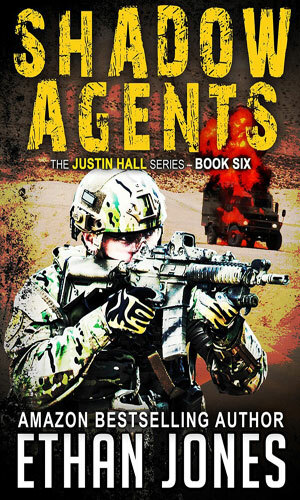 Book 5 in the Justin Hall series. Two CIS agents have been captured and taken to North Korea to be tortured into revealing vital secrets. 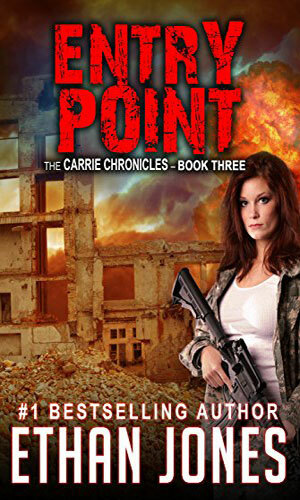 It is up to Justin Hall and Carrie O'Connor to work their way into that forbidden country and get them out. Book 6 in the Justin Hall series. 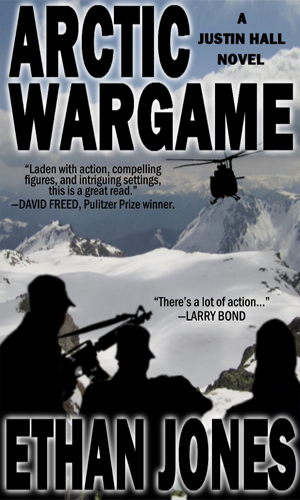 When Justin Hall and Carrie O'Connor go up against a group of Palestinian fanatics planning an attack in Germany, one of the hunted gets away and leads the two throughout the Middle East as they try to stop him carrying out an even bigger disaster. Book 1 in her solo activities. 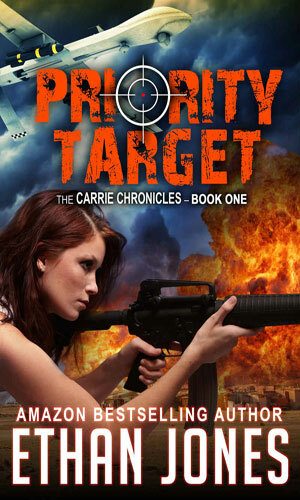 Carrie O'Connor is assigned the job of verifying the priority target of a CIA drone attack in Somalia is really dead. The truth she finds points to problems back in the US capital. Book 7 in the Justin Hall series. 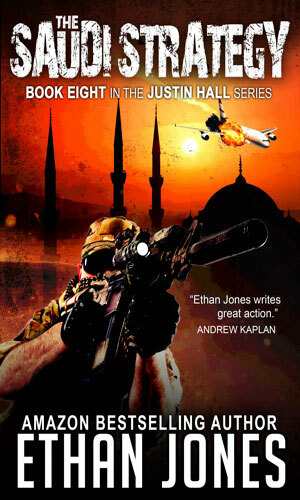 Justin Hall, working with Carrie O'Connor, discover a plot by ISIS to bring the war to North America by attacking a hockey arena filled with spectators. Book 2 in her solo activities. 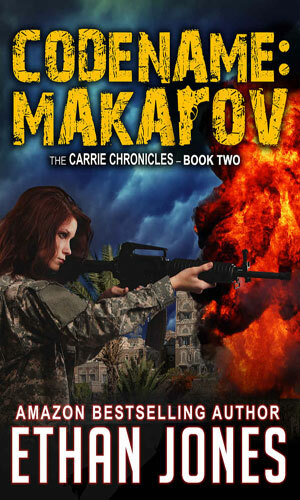 Carrie O'Connor is in Pakistan to meet with a local Taliban leader but an ambush shows her that someone wants her dead. The facts uncover a former KGB assassin and a connection with her father's disappearance years before. Book 8 in the Justin Hall series. Both Justin Hall and Carrie O'Connor are sent to Saudi Arabia though on different missions. They both become the targets of professional assassins. Book 9 in the Justin Hall series. 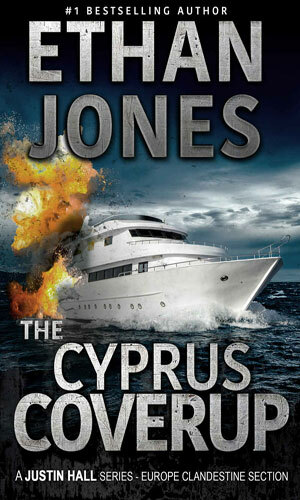 He and Carrie O'Connor must go to Iran to take care of two assignments, either of which can get them killed. 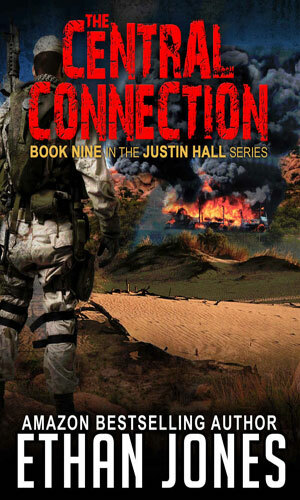 Book 10 in the Justin Hall series. 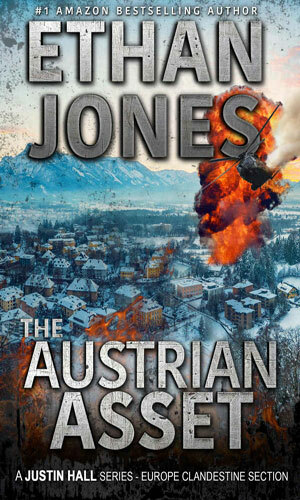 Now with the Europe Clandestine Service, Justin Hall and Carrie O'Connor must find a man who disappeared in Vienna along with a cache of secrets the ECS wants back. Book 11 in the Justin Hall series. The word that terrorists are planning to attack a train station in Belgium gets Justin Hall and Carrie O'Connor on their trail. Book 3 in her solo activities. Carrie O'Connor never wanted to see Afghanistan again in her life but now a Taliban leader is asking to meet with her specifically and the ECS is sending back to her least favorite country. Book 12 in the Justin Hall series. 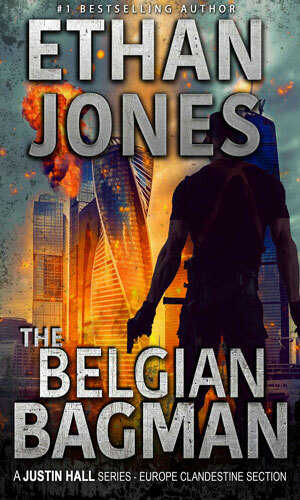 The word that terrorists are planning to attack a train station in Belgium gets Justin Hall and Carrie O'Connor on their trail. Book 13 in the Justin Hall series. 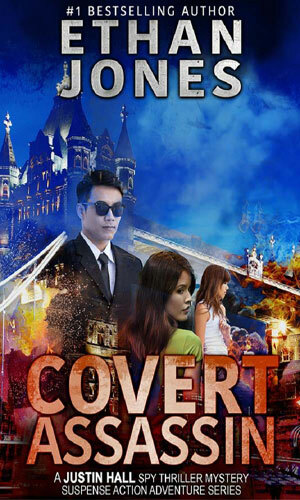 Sent to locate a missing British operative who has gone rogue and possibly traitorous, Justin Hall and Carrie O'Connor learn of a plan to kill the Russian president. To stop it, they must link up with a Chinese agent who is likewise seeking a rogue agent. 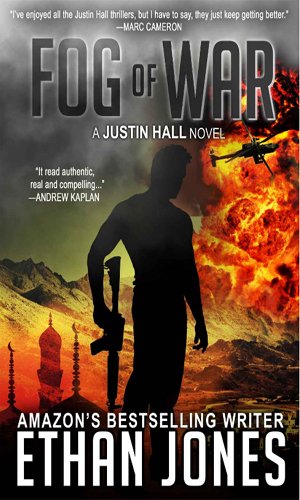 Book 14 in the Justin Hall series. 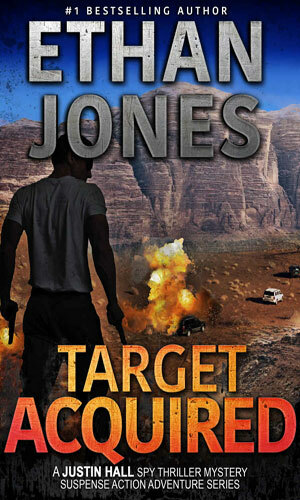 Justin Hall and Carrie O'Connor are on a mission in Tunisia when Carrie is snatched by terrorists, suddenly making this assignment very, very personal to both. At first I was planning to just include the couple solo books of Carrie O'Connor as 'extras' in the Justin Hall series. In the books dealing with Hall, O'Connor is a vital partner and has lots of 'air-time' but it is most certainly the Hall series. Thinking about these two on-her-own adventures, though, I decided that she should be more than just honorable mention. Hence her own entry in the compendium. These stories are as action-packed as the Hall books. O'Connor hardly stops for a breath let alone a life and it is not easy to tell whether this is by her design or life just being unkind. Whichever it is, it means lots and lots of danger and trouble for the auburn beauty and lots and lots of fun reading for armchair adventurers like me.